★ Design your own mall and create new floors! ★ Deco with shops, special attractions and mall amenities! ★ Invest in items to unlock new shoppers! ★ Watch their cute interactions with store owners! ★ Increase Shop Appeal to attract shoppers! 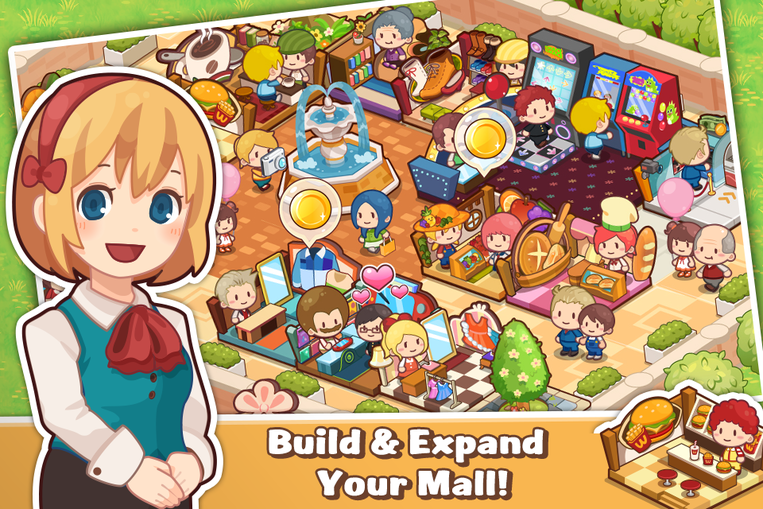 ★ Expand your mall, upgrade stores, and use items to earn coins! ★ Run tours and Fever sales to earn easy money!